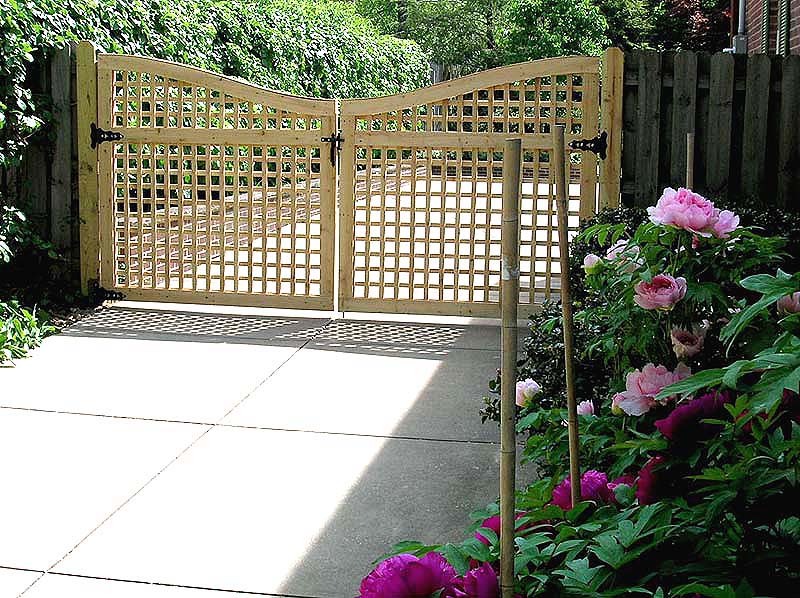 This Good Neighbor® arched lattice driveway gate was designed to create a contrast in the fence line. It is framed in similarly to the Good Neighbor® fence. Heavy latches and hinges are used to prevent the gate from sagging. All of our gates are available as electrically operated or automatic gates. Not on the above list? If you reside in Huron County, Erie County, Lorain County, Medina County, Cuyahoga County, Summit County, and western Geauga County then we probably work in your area. Give us a call at 440-323-7581, and we can quickly let you know either way. Our fences, lattice, pergolas, trellises, garden arches, and arbors are also available as a do-it-yourself kit. Why settle for a poor quality product from a box store, simply because you'd like to do the project yourself? Let us know what you need, and we're happy to build it for you! We do not ship our products. We only service the above listed areas in Northern Ohio.